Take me out to the…wedding! A sports themed wedding lets you and your fiancé show off your love for the game while showing off your love for one another! And with this theme, you can bet that your soon-to-be husband will want to have a huge part in planning your big day. 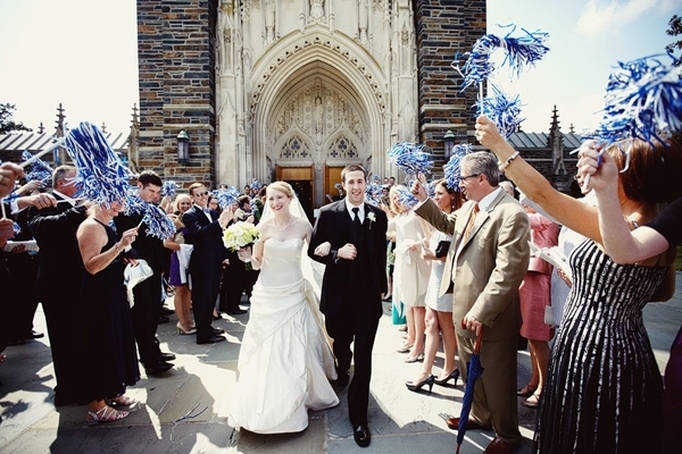 Your team’s colors can serve as the color scheme of the wedding and you can throw in small (or big) details of your favorite sports. Talk to your baker about making a cake shaped as sports equipment, such as a football, and your invitations can look like tickets to a game. Have fun with this wedding theme and then game on!